The conflict between Romeo’s Montagues and Juliet’s Capulets went deeper than the scent or the name of flowers, and we know it ended badly for the two of them. That’s to say with white lilies, not roses. In the Russian market for cut flowers – until recently, the fastest growing in Europe — the war has cut imports by a third in value last year, compared to 2014. The deepest cut of all for exporters was suffered by The Netherlands, whose government has been outspoken in support of European Union sanctions; NATO military movements towards the Russian frontier; and support of the Kiev regime in the investigation of the Malaysian Airlines MH17 disaster. But wait! is that a Montague and a Capulet bloom, an Italian rose, which has appeared on the Russian market in recent months? Yes, in the December quarter of 2015 the Italians jumped to fourth place in the table of top-5 exporters of cut flowers to Russia with shipments of 66 tonnes, at a value totalling $563,200. They replaced the Dutch. In the comparable quarter of 2014, The Netherlands had ranked number-4 with 560 tonnes worth $4.8 million; at the same time Italy delivered almost no flowers at all to Russia. 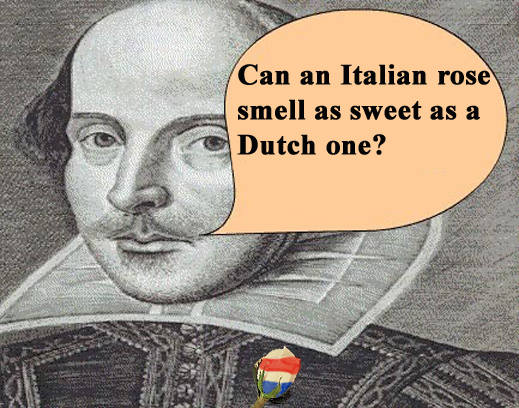 The explanation, according to Moscow market sources, is that the Italian growers have found a way to avoid the Dutch flower auctions, and ship directly to Moscow. The aggregate numbers speak for themselves with another meaning. In 2015 the total value of Russian imports of flowers from the top-5 sources came to $215 million. That was a 31% reduction compared to 2014. Imports over the full year from The Netherlands fell by 65% — from $29.7 million to $10.4 million. 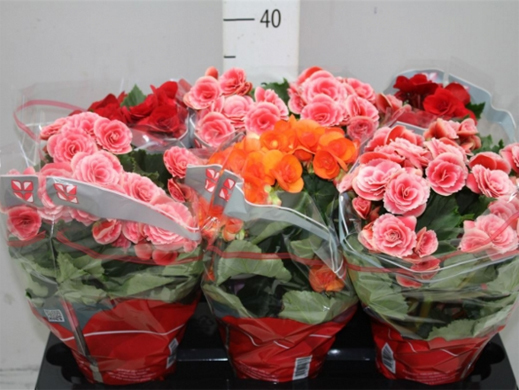 The traditional spike in Russian demand for roses for Valentine’s Day on February 14 and for March 8, Women’s Day, is again expected to push prices up at the Dutch auctions in Aalsmeer, as well as in freight rates for air-cargo shipments from South America. 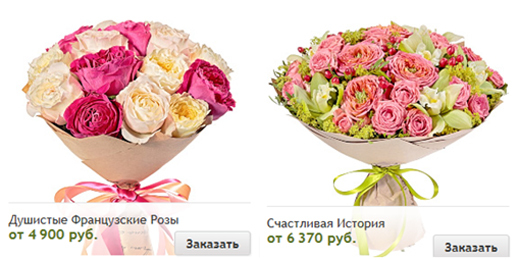 The spike is likely to double the price of roses in Moscow. But the Dutch losses have been heavy, and they are getting worse. At peak in 2013, the Dutch exported to Russia €191.9 million ($255 million) worth of flowers, according to the Dutch statistics (which count re-exports). Then Russia ranked 4th in the Dutch table of export destinations, growing 2% annually, while the larger European markets like Germany, the UK and France, were shrinking. For the full story of the role the Aalsmeer flower exchange has played in the Russian market, read this. In 2014, the value of Dutch imports (counting only flowers grown in The Netherlands), according to the Russian Customs data, was $29.7 million. Counter-sanctions against imported agricultural products from the EU member states were introduced in August 2014. A separate threat of a phytosanitary ban on Dutch flowers was announced a few days earlier. Then the rouble began dropping sharply in the final quarter of the year, and it followed the crude oil price downwards through 2015. The Russian Customs data for last year show that imports of Dutch flowers came to $10.4 million. – Rose olandesi, andate in malora! A switch to home-grown flowers is also proving to be painfully slow. 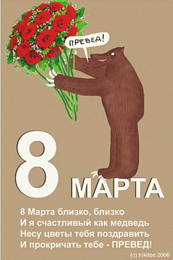 At the start of 2015 it was estimated that about 16% of domestic consumption of cut flowers was supplied from Russian growers; 84% from imports. But Russian industry reports indicate that local flower growers had been running into financial difficulty to raise bank loans and meet costs before the war economy impacts began to be felt. New Holland, a St. Petersburg rose-grower, owned by Alexei Antipov, was obliged to halt production last November after two bankruptcy petitions had been filed against the company in local courts. Press reporting indicated that the greenhouse complex of 28 hectares had absorbed more than €53 million in investment since 2006. The plan had been to take a 50% market share of the rose market in Russia’s second city. By the time the federal government began to intervene against Dutch imports, New Holland was already deep in the red. Last December a Moscow newspaper reported that a greenhouse combine at Moksha, between Moscow and Samara, was already growing roses under cover in an area being expanded from 24 hectares to 32 hectares. This year further expansion is proposed to allow the start of production of carnations, whose import from Turkey has been under sanction since last November.